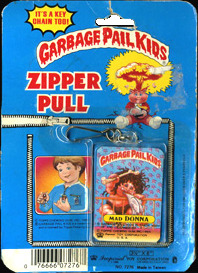 A complete set consists of 24 different Zipper Pulls. 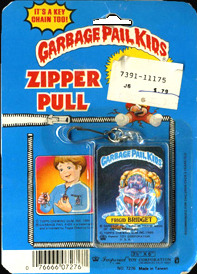 The Zipper Pulls were EXTREMELY similar to the Keychains released by Imperial. In fact, they are often confused for being the same product with the only difference between the two being the clasp to attached the item (as opposed to a keyring). 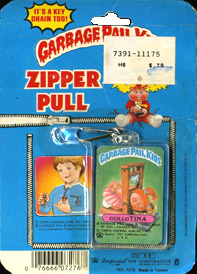 Similar to numerous other GPK-themed Imperial Toys, the Zipper Pulls featured characters from Series 1 and Series 2. 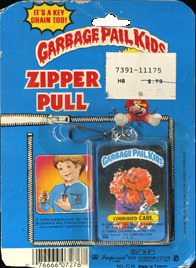 Below are images of a FULL BOX of Zipper Pulls. 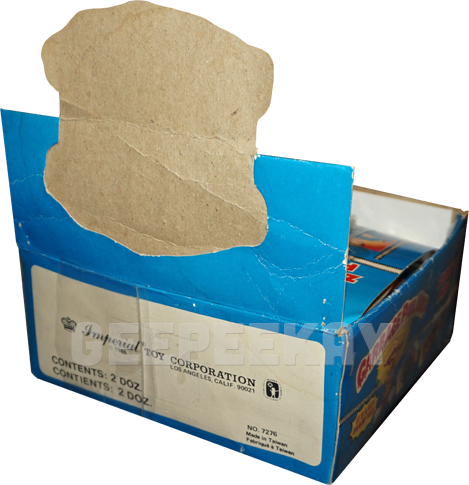 The full box contains 24 Pulls and is an extremely rare item that does not show up in collections very often. 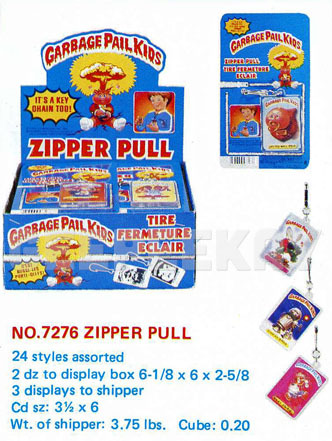 Another interesting fact is the box of Zipper Pulls is the ONLY item on the Imperial Toy Catalog that contains pictures with French/Canadian text on them. 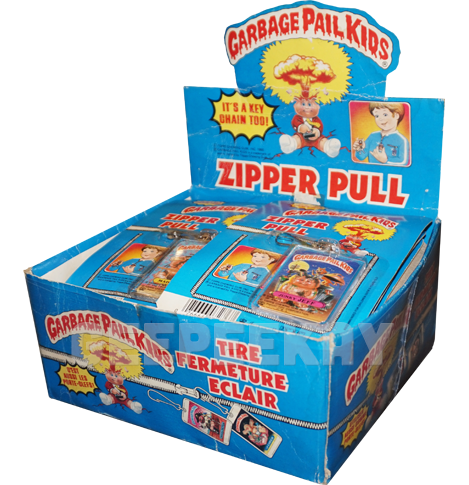 Imperial made toys with in both countries so it is possible to locate items with the alternate text on them, but the product catalog contains only English except for this item.